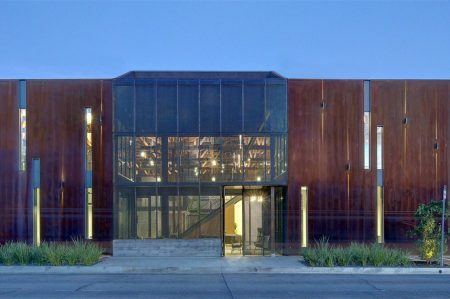 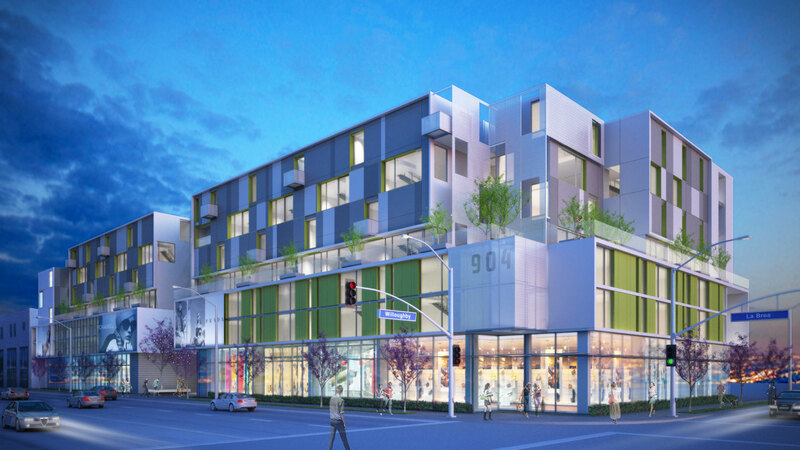 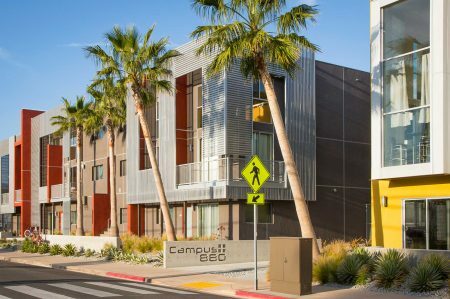 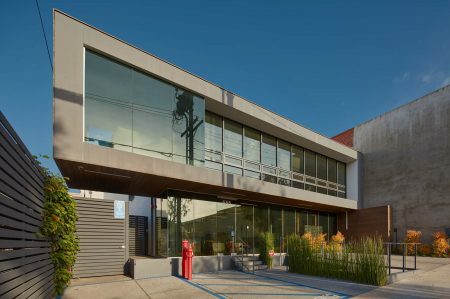 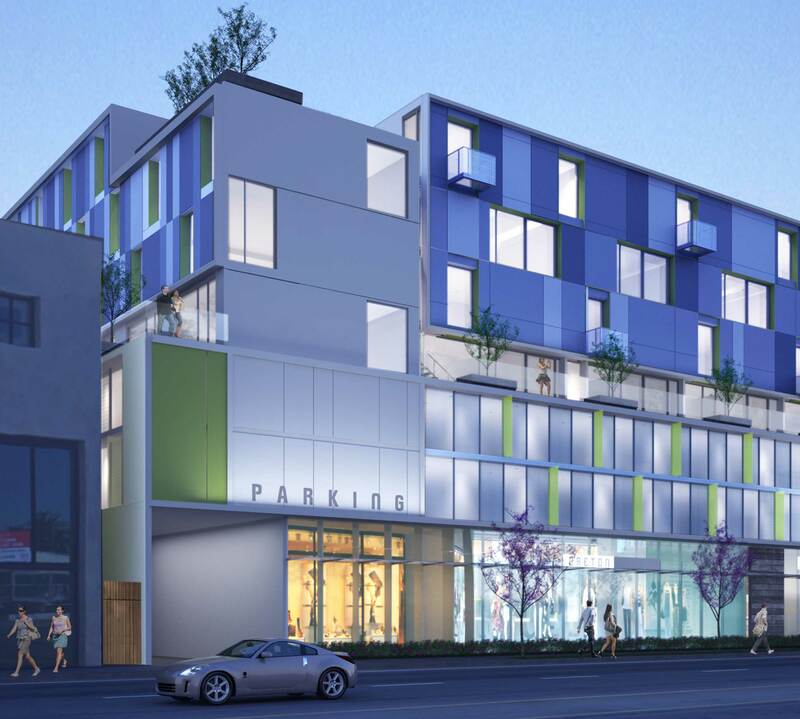 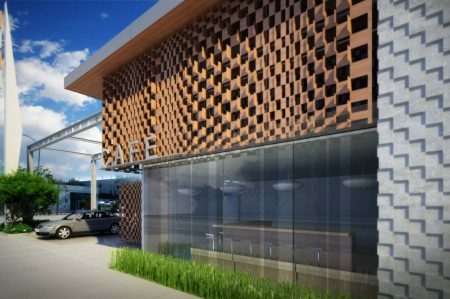 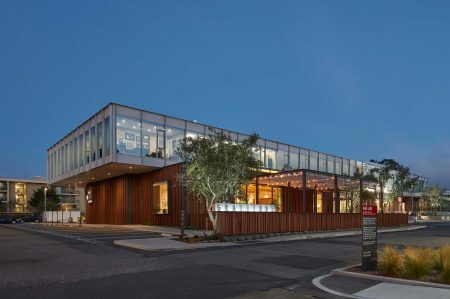 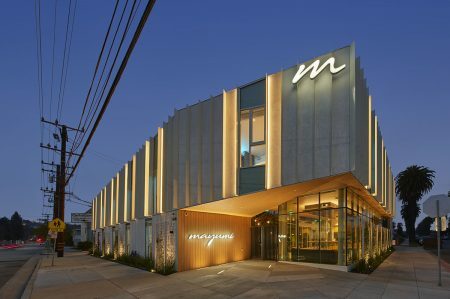 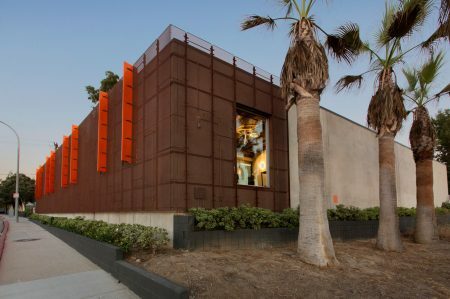 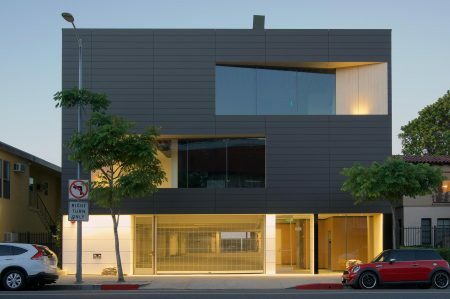 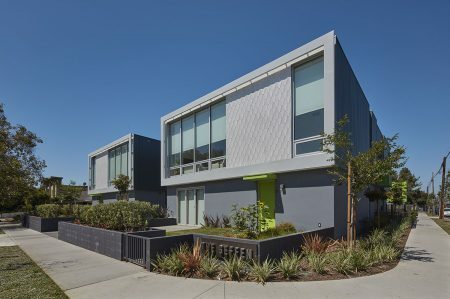 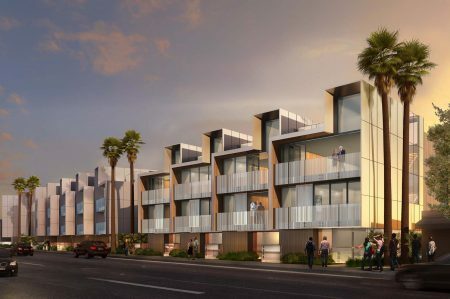 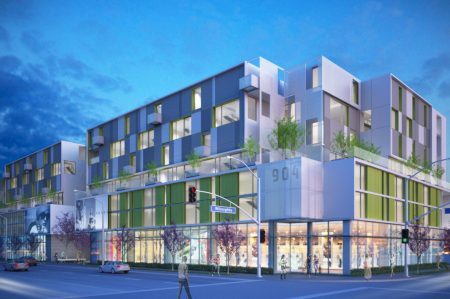 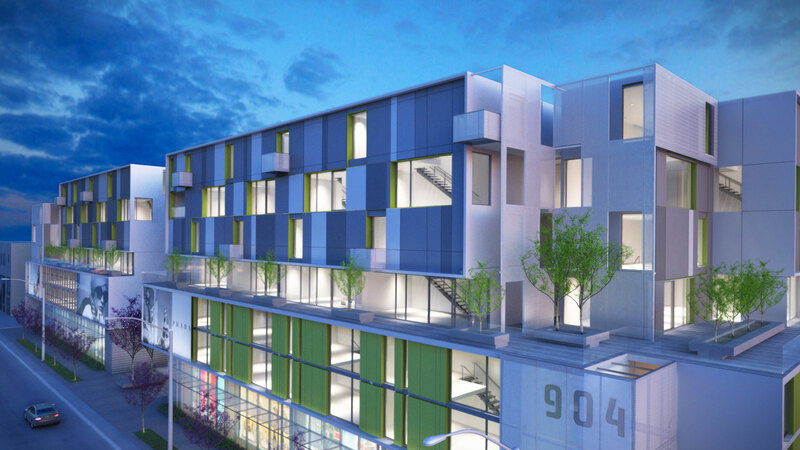 900 N La Brea is a seven-story mixed-use urban infill development project in an emerging walkable community in Los Angeles that is encouraging the revitalization of the motion picture industry in the district known as The La Brea Gateway. 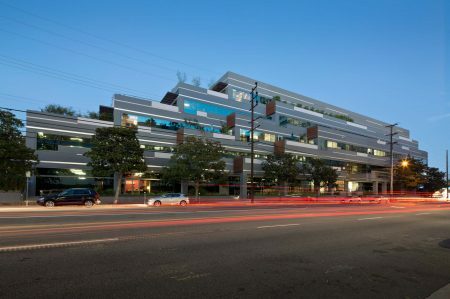 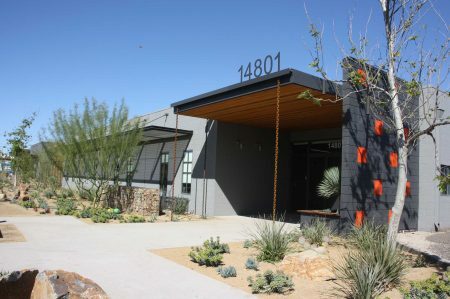 A 7-story mixed-use building with ground-floor retail, the building is approximately 85 feet tall, approximately 150,000 gross square feet, and consists of residential apartments on levels 2, 3, 4, 5, 6 and 7. 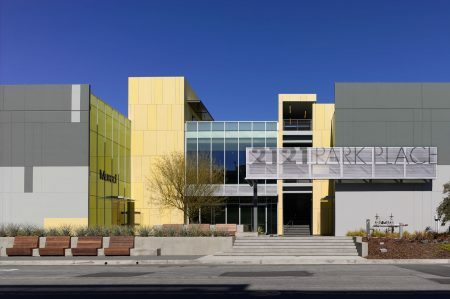 The building is TYPE-III construction over a TYPE-I podium providing retail parking in one subterranean level; residential parking is provided on levels 2 and 3. 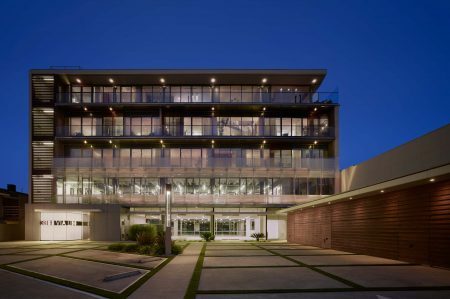 An amenity deck is located on level 4, as well as various additional decks climbing up the building to the 7th floor. 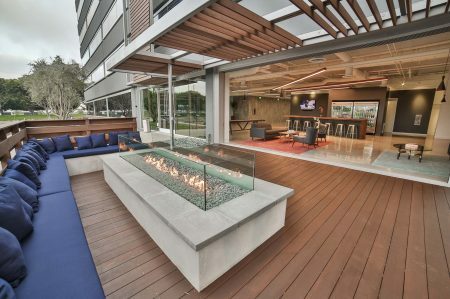 The amenity deck on the 4th floor aligns visually with the amenity deck across the street at WeWork, a shared workspace community.